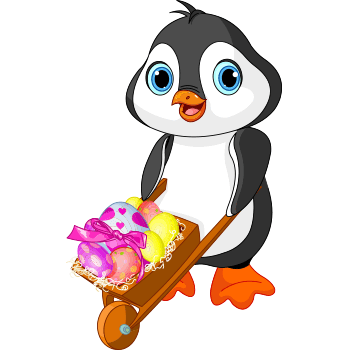 This little penguin is wheeling a sweet bundle of happiness to someone special. You can share this image on holidays or even add it to message to someone special. Please take time to get to know our database so you can discover bright and colorful images to share with your Facebook network of friends and family.